Brian Johnson makes replica video game weapons. Unlike other ones that just look nice, though, he goes the extra mile and has them functioning as actual NERF guns. We showed you one of these last year, but man, the whole collection is so great I'm showing you a ton of them tonight. 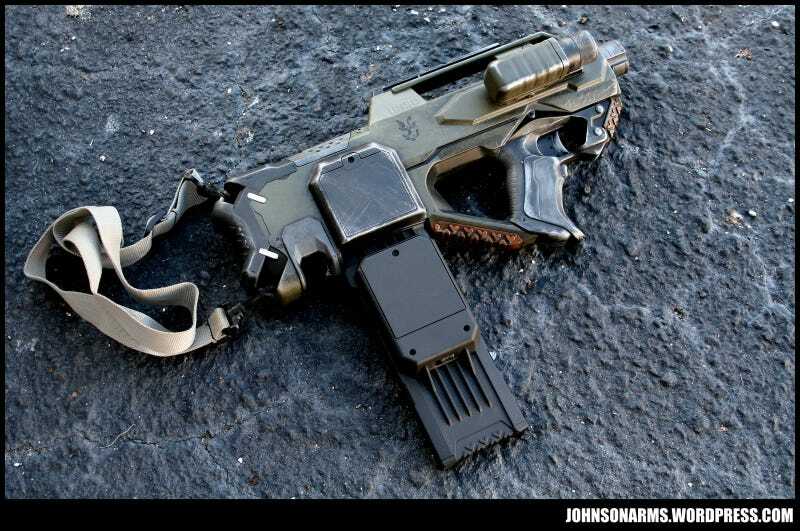 Drawing from properties like Mass Effect, Fallout and even Warhammer, Johnson's modified and customised NERF guns are about as close as you're ever going to get to being Commander Shepard or some post-apocalyptic wanderer. Unless you actually are a Commander Shepard. Like this guy was. In that case...carry on!